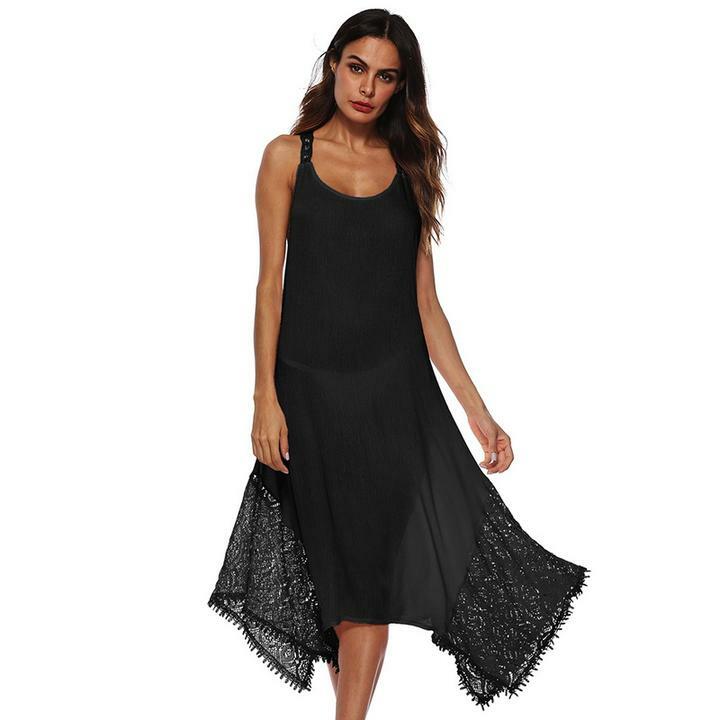 The perfect cover up to keep you looking cool and confident at the beach, this flowing dress is partially sheer. The tieback design will let in plenty of sun while the light fabric blows effortlessly in the breeze. Who said fashion was hard?